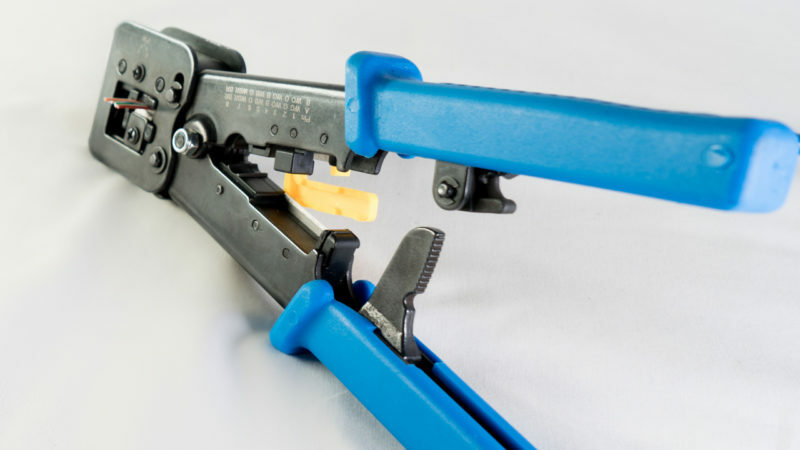 This is a high quality professional grade crimp tool that will make perfect crimps on RJ-11, RJ-12, RJ-45 connectors. 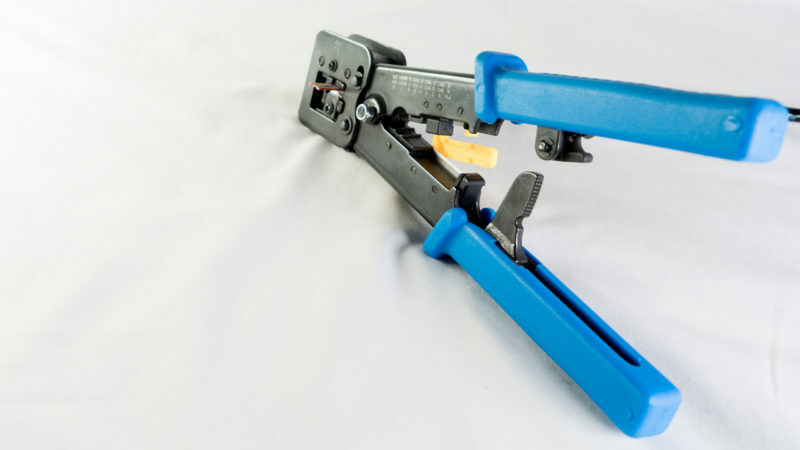 It features an integrated stripper and cutter, smooth ratcheting action, molded plastic handles, and a locking mechanism to keep the unit closed. 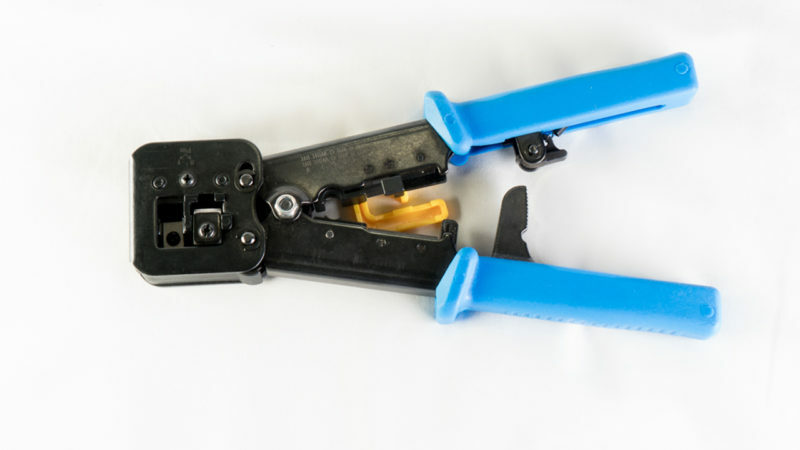 Another nice feature is the laser etched CAT-6 color code on the body of the crimper – it is a great way to “double check” your work before you crimp. 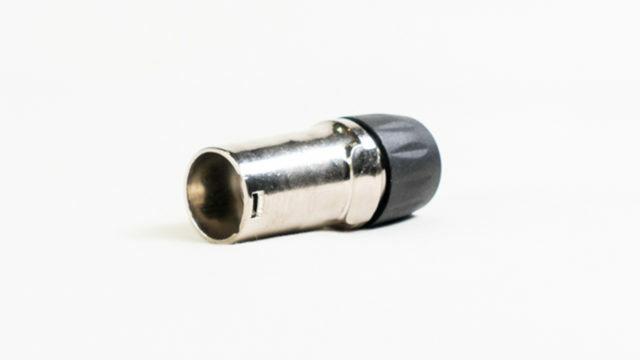 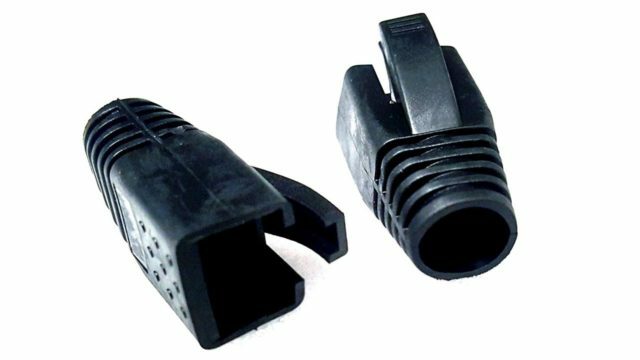 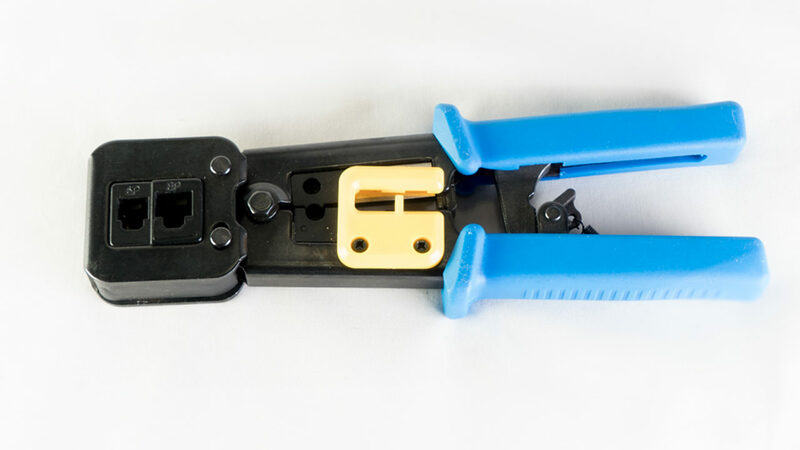 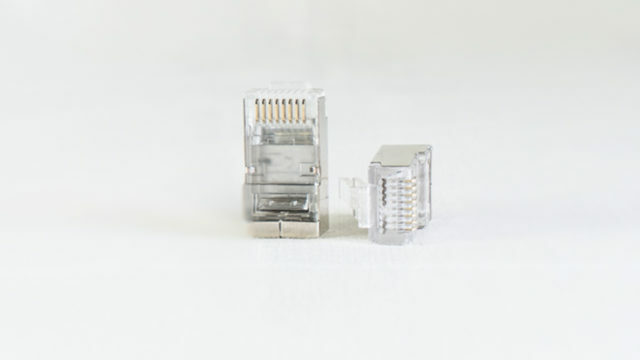 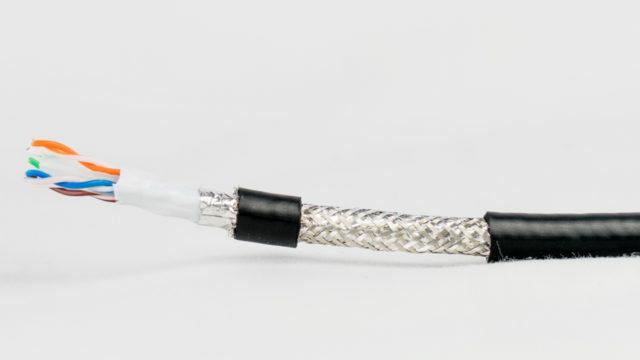 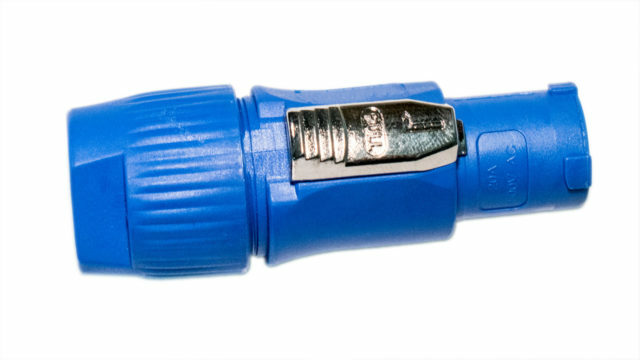 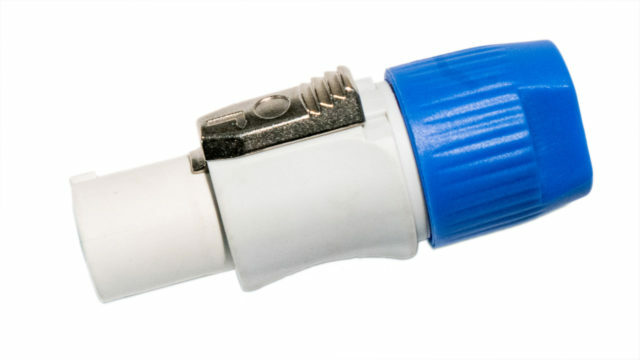 If you plan to use this crimper with our Easy-RJ45 connectors, the the RJ-45 Cavity has a blade at the end to cut off the excess wire pulled through the easy-RJ-45 Connector. 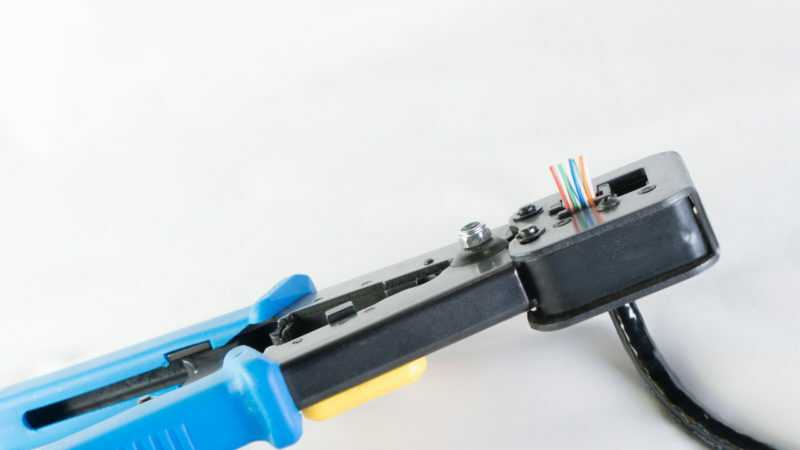 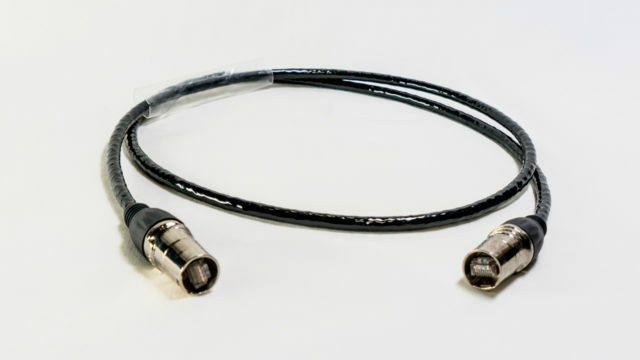 Tool is desined for the professional installer providing a ratcheted, high leverage, ultra atable platform for consistent, repeatadble terminations.